Sandberg said that all of Uber's crises, many of which centered around a company culture that facilitated harassment and gender inequality, were "super troubling." Uber's board plans to approach Sandberg about the vacancy, reported New York Post. Uber Technologies Inc. is in the market for a new chief executive officer. And, as in any search for an important technology leader, Sheryl Sandberg's name is on the wish list. Sandberg isn't leaving her job as second-in-command at Facebook Inc., according to a person familiar with the matter who asked not to be identified discussing private information. But Uber is looking to have someone do what she helped do at Facebook: bring the company out of its bro culture and turn it into one of the world's most influential and successful businesses. In an interview with Bloomberg Television just before Uber CEO Travis Kalanick was ousted, Sandberg said that all of Uber's crises, many of which centered around a company culture that facilitated harassment and gender inequality, were "super troubling." "I'm glad that they are taking action to address them," Sandberg said. "And all of us need to do more." The New York Post reported that Uber's board, in a push by member Arianna Huffington, plans to approach Sandberg about the vacancy. 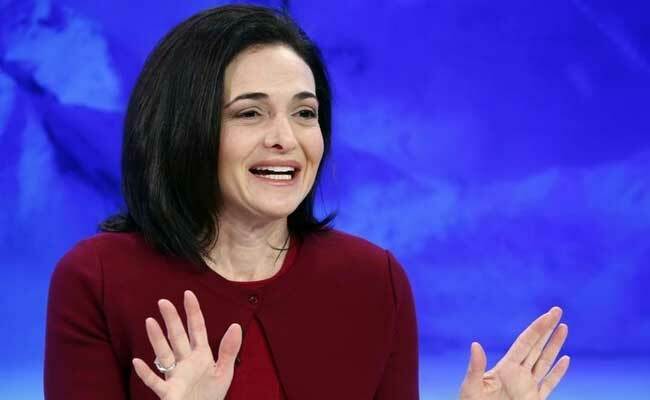 Sandberg has helped create a $445 billion company in her nine years as COO at Facebook. In addition to building Facebook's advertising business, she has also become a leading voice on what companies need to do to boost diversity and improve their culture. In her latest book, 'Option B,' Sandberg encourages businesses to make a point of understanding when their employees are going through hard times, and offer bereavement leave and family leave. "People are seeing how much loyalty they can get from their employees when they treat them as human beings," she told Bloomberg Television's Caroline Hyde. Over the years, Sandberg's name has been floated for jobs from CEO at Walt Disney Co. to California senator, but the executive has stayed put as the company continues to grow. Tom Staggs, a former special adviser to the CEO at Disney, is also a leading candidate for the top job at Uber, according to the Post, and had already interviewed at the company before Kalanick's departure. Other names that are the subject of speculation include: former Yahoo! Inc. CEO Marissa Mayer, CVS Pharmacy Inc. President Helena Foulkes, Tim Armstrong, CEO of Oath Inc., and Turner Broadcasting System Inc. CEO John Martin.